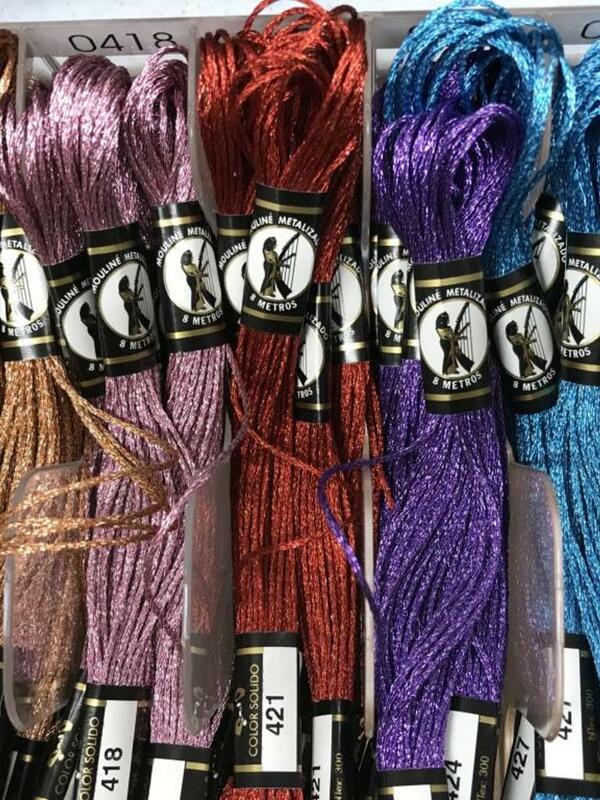 Finca Metallic Embroidery Floss is made with a polyester core for strength and 100% metal-fiber wrapping. It is also highly shred resistant. 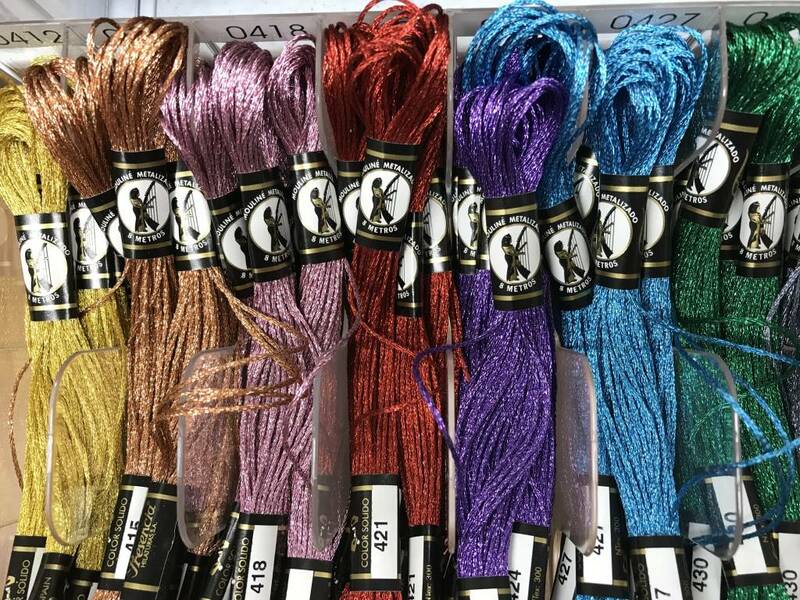 Finca Metallic Floss is 6 ply divisible, to use alone or as a blender with Finca Cotton Embroidery Floss. It is popular for hand and punchneedle embroidery and needlepoint as well as a carry thread for knitting and crochet.